Pavani is currently working as an intern at Flinders Medical Centre. She is interested in Ophthalmology and eye care issues, especially in the developing world setting. She has, so far, undertaken Ophthalmology rotations in varied places with diverse healthcare needs including Alice Springs, Adelaide, Hyderabad (India) and Auckland (New Zealand). Her inspiration for ophthalmology stems from the great work done by the World Health Organisation recognized eye care centre, L.V. Prasad Eye Institute, India. Laser photocoagulation has remained the standard of treatment for diabetic macular oedema (DME) for the past three decades. However, it has been shown to be unbeneficial in chronic diffuse DME. Intravitreal bevacizumab (ivB) has been proposed as an alternate and effective treatment of DME. This review evaluates the evidence behind comparing bevacizumab to laser photocoagulation in treating persisting DME. A structured systematic search of literature, with critical appraisal of retrieved trials, was performed. Four randomised controlled trials (RCTs) supported beneficial effects of ivB over laser photocoagulation. Only one RCT, the BOLT study, compared laser to ivB effect in persistent DME. The results from the study showed significant improvement in mean best corrected visual acuity (BCVA) and greater reduction in mean central macular thickness (CMT) in the ivB group, with no significant difference in safety outcome measures. Diabetic macular oedema (DME) is a consequence of micro-vascular changes in the retina that lead to fluid/plasma constituent accumulation in the intra-retinal layers of the macula thereby increasing macular thickness. Clinically significant macular oedema (CSME) is present when there is thickening within or close to the central macula with hard exudates within 500μm of the centre of the macula and with retinal thickening of at least one disc area in size. [3,4] As measured in optical coherence tomography, central macular thickness (CMT) corresponds approximately to retinal thickness at the foveal region and can quantitatively reflect the amount of CSME a patient has. Two different types of DME exist: focal DME (due to fluid accumulation from leaking micro-aneurysms) and diffuse DME (due to capillary incompetence and inner-retinal barrier breakdown). The DRCR.net study (2007) has shown that ivB can reduce DME. In addition, several studies, which have been carried out on diabetic retinopathy patients with CSME evaluating the efficacy of ivB ± ivT versus laser, demonstrated better visual outcomes with BCVA. [6,19- 21] Meta-analysis of those studies indicated ivB to be an effective short-term treatment for DME, with efficacy waning after six weeks. This review evaluates the evidence behind the effect of ivB, compared to laser, in treating persisting DME despite standard treatment. 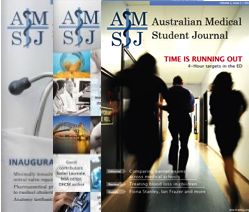 Comprehensive electronic searches in the British Medical Journal, Medical Journal of Australia, Cochrane Central Register of Controlled Trials, MEDLINE and PUBMED were performed for relevant literature, using the search terms diabetic retinopathy, CSME, CMT, bevacizumab and laser photocoagulation. Additional information from the online search engine, Google, was also incorporated. Reference lists of studies were then hand-searched for relevant studies/trials. Thus, three relevant RCTs were narrowed down for analysis (Table 1) in this evidence based medicine review. [20,21,24] However, only the BOLT study (2012) evaluated the above treatment modalities in persistent CSME. The other two RCTs evaluated the treatment efficacies in patients with no prior laser therapies for CSME/diabetic retinopathy. Hence, only the BOLT study (2012) has been critically appraised in this report. The study characteristics of the other relevant RCTs evaluating ivB versus lasers are represented in Table 1, and where possible will be included in the discussion. The primary outcomes of interest are changes in BCVA and CMT, when treated with ivB or lasers for DME, whilst the secondary outcomes are any associated adverse events. All three studies were prospective RCTs with NHMRC level-II evidence. Table 1 summarises the overall characteristics of the studies. The BOLT Study (2010) is a twelve month report of a two year long single centre, two arm, randomised, controlled, masked clinical trial from the United Kingdom (UK). As such, it qualifies for NHMRC  level-II quality of evidence. It is the only RCT that compared the efficacy of ivB with laser in patients with persistent CSME (both diffuse and focal DME) who had undergone at least one laser therapy for CSME previously. Comparison of study characteristics of the three RCTs chosen are presented in Table 2. Major strengths of the BOLT Study compared to Soheilian et al. and Faghihi et al. studies include the duration of study and increased frequency of review of patients in ivB groups. The BOLT Study was a two year study, whereas the other two studies’ duration was limited to less than a year (Table 1). Because of its lengthy duration, it was possible to evaluate the safety outcome profile of ivB in the BOLT Study, unlike in the other two studies. Research has indicated that the effects of ivB could last between two to six weeks,  and the effects of lasers could last until three to six months. In BOLT, the ivB group was assessed every six weeks, and re-treatment provided with ivB as required, while the laser group were followed up every four months ensuring the preservation of efficacy profile and its reflection in the results. Whereas, in Sohelian et al.,  follow up visits were scheduled every twelve weeks after the first visit, and in Faghihi et al.,  follow up was at six and sixteen weeks. Therefore, there may have been a bias against the efficacy profile of ivB, given the insufficiency in the nature of follow up/treatment. Apart from the follow up and therapy modalities, the groups were treated equally in BOLT, preserving the analysis against treatment bias. Weaknesses of the BOLT Study  include limited number of patients: 80 eyes in total, with 42 patients allocated to ivB and 38 patients to laser therapy. Of them, in the ivB group, six patients discontinued intervention; only 37 patients were included in the analysis at 24 months and five were excluded as the data was not available. Similarly, of the 38 patients allocated to the laser group, 13 patients discontinued the intervention; 28 patients were analysed overall where ten were excluded from analysis. However, the BOLT Study performed intention to treat analysis minimizing dropout effects. Given these, we feel the BOLT Study fulfills the criteria for a valid RCT with significant strengths. Significant difference existed between mean ETDRS BCVA at 24 months in the ivB group (64.4±13.3) compared to the laser group (54.8±12.6) with p=0.005 (Any p-value <0.05 indicates statistical significance between the groups under comparison). Furthermore, the study reports of the ivB group gaining a median of 9 ETDRS letters whereas the laser group gaining a median of 2.5 letters (p=0.005). Since there was a significant difference between the duration of CSME between the two groups, the authors of the study performed analysis after adjusting for this variable. They also adjusted for the baseline BCVA and for patients who had cataract surgery during the study. The mean BCVA still remained significantly higher in the ivB group compared to laser. The mean change in the CMT over the 24 month period was -146±171μm in ivB group compared to -118±112μm in the laser group (p=0.62), showing statistically no significant difference in ivB/laser effectively reducing the CMT. This differed from the twelve month report of the same study that indicated improvement in CMT in the ivB group compared to the laser group. We summarised the results of the author’s analysis of the step-wise changes in retinopathy grading levels, for further analysis, into three categories: deteriorating, stable and improving (Table 3). As shown in the table, we calculated the p-values using the chi-square test between both groups for each category. We attempted to further quantify the magnitude of ivB treatment compared to lasers on the retinopathy severity level by calculating the number needed to treat (NNT) using the data in Table 3. The results showed an absolute risk reduction of nine percent with an NNT of 10.9 (95% CI indicating harm in 21.6 harm to benefit in 3.6 patients treated). Since the confidence interval indicates an uncertainty between benefit and harm, this trial does not give sufficient information to inform clinical decision making regarding change in retinopathy severity levels with ivB treatment. As mentioned, one of the strengths of the BOLT Study is evaluating the safety profile of ivB given its two year duration. The study analysed the safety outcomes of macular perfusion and retinal nerve fibre layer (RNFL) thickness in detail. The results indicated no significant difference in the mean greatest linear diameter of foveal avascular zone between the laser and the ivB group, from baseline or in the worsening of severity grades. Similarly, no significant changes in median RNFL thickness have been reported between ivB and laser groups. At 24 months, the number of observed adverse events, ocular and systemic, in the study was low. We have analysed the odds ratio (Table 4) as per the published results in the study. Statistically significant higher chances of having eye pain and irritation (eighteen times greater risk) during or after intervention, sustaining sub-conjunctiva haemorrhage and of having a red eye (eighteen times greater risk) was found in the ivB group compared to lasers. As can be further inferred from the table, no significant differences in sustaining other non-ocular adverse events, ocular serious adverse events or non-ocular serious adverse events including stroke/MI/other thrombo-embolic events were found between both the groups. The BOLT Study participants were from Moorfields Eye Hospital (UK) and had comparable demographics and healthcare standards to Australia. In the study, both patient (BCVA, retinopathy severity level changes, adverse events) and disease-oriented outcomes (CMT) were considered, making the study both theoretically and practically relevant, informing both clinicians and researchers of the outcomes. Given this, clinical applicability of the results to the Australian population appears reasonable. All other personnel involved in the study (outcome assessors) and imaging technology are available as well, making the treatment feasible in our setting. 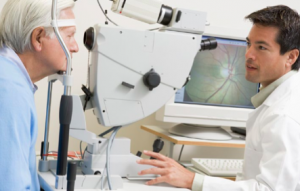 In Australia, the overall diabetic retinopathy prevalence is 24.5%,  the statistics associated with it rise every year due to the progressing obesity/diabetes epidemic. Bevacizumab is currently approved under the pharmaceutical benefits scheme for metastatic colon cancer. It is being successfully used ‘off-label’ for the treatment of ocular conditions including age related macular degeneration and diabetic macular oedema. It costs about 1/40th the cost of ranibizumab, another anti-VEGF drug that has current approval for AMD treatment in Australia and FDA approval for DME treatment in America. Since recent studies indicate no superior effect of ranibizumab versus bevacizumab in safety and efficacy profile in preserving visual acuity, [27,28] and since recent NICE guidelines also recommend not using ranibizumab for diabetic macular oedema due to high costs involved with the administration of that drug,  bevacizumab must be further considered and evaluated for cost effectiveness in routine usage in clinical practice. Given the benefits with ivB, that is, improved BCVA, no significant adverse events and no risk of permanent laser scarring of the retina, and the aforementioned discussion, using ivB in treatment for persisting DME appears to be evidence based, and relatively safe practice. The BOLT Study assessed the safety and efficacy of ivB in persistent DME despite previous laser therapy. The power of the study was 0.8 enabling it to detect BCVA differences between two groups. In line with many other previous studies evaluating ivB’s efficacy, the results indicate significant improvement in the mean ETDRS BCVA, and no significant differences in severe systemic/ocular adverse events compared to the laser group. This study supports the use of ivB in patients with CSME, with adequate precision. However the magnitude of the effect on changes in the severity of diabetic retinopathy, in CMT changes and other adverse events, needs to be evaluated further through large prospective RCTs.